Coway AP-1008DH - Equipped with a gas sensor, in addition to the particle sensor. A gas sensor detects strong smells like perfume or smoke and can adjust fan speed depending on the gas content of the room. The recommendation applies to 48,1 m³ and Level 1. Coway AP-1008CH - With intelligent three-step filtering. Has the ability to read the air cleanliness in your home and automatically adjust to the level needed for the particular environment. The recommendation applies to 41,55 m³ and Silent mode. 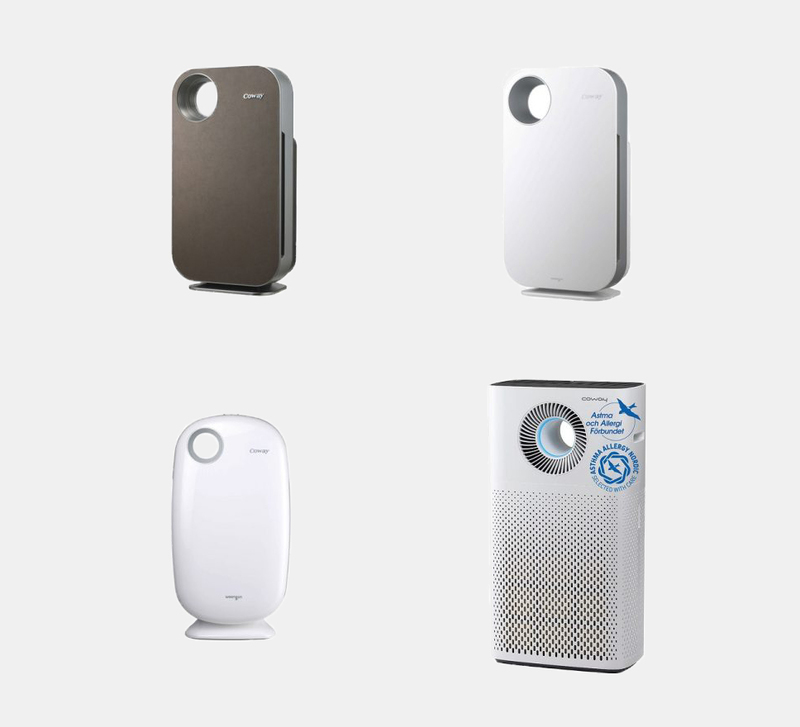 Coway AP-1009CH - With built-in 3-step filter system, the air purifier captures particles like dust, mold, cigarette odors, cooking odors, pollen and more to give you clean and fresh air. The recommendation applies to 47,55 m³ and Level 1. Coway Storm 1516D - Equipped with Air Quality Indicator, Intelligent Air Flow and a 4-Step Filter System. The recommendation applies to 68,5 m³ and Level 2.